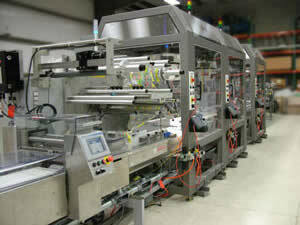 Picking and Placing raw product into a flow wrapper has been a difficult hurdle for many organizations. Numerous operations required visual inspection and generally involved random part orientations presented to the operators. The hygiene standards for automation in these areas also provided obstacles to robotic methods. The focus on these markets by robot manufacturers has produced several robot options suitable for the primary packaging industry.